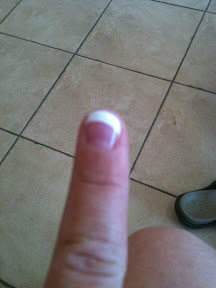 Today, mom and I got up and went to get our nails done. She got a full set if acrylics and a pedicure. I got a French manicure since my nails are already long (minus the evil broken one from last night) and a pedicure. My feet got SO dry while I was pregnant and hadn't recovered yet. 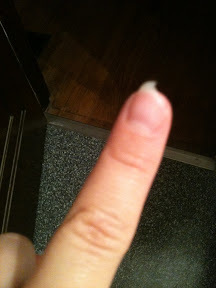 I was a bit worried about the manicure because of the broken nail, but it turned out great! A few errands to run and we're headed to Logan county!